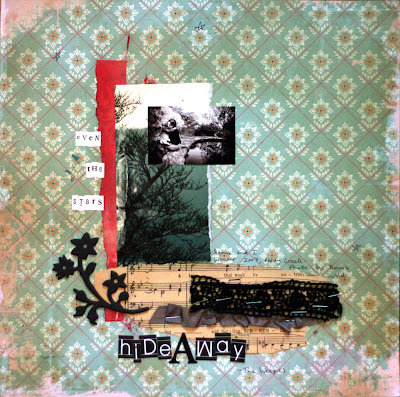 This layout is called 'Hideaway', featuring lyrics from The Weepies' song of the same name. I made the page about a year ago but it was just recently published in Scrapbooking Memories - I think the current issue, or possibly the last one. It's also kind of what I'm doing at the moment - hiding away! Other than tests and appointments I am mostly sticking around home. Yesterday I had a great scrapping day with Kell and got one page done from start to end, I'll share when I've gotten around to photographing it! Have a great week everyone :) Next week I'll introduce you all to Cedar, he'll be here by then. Oh wow Danielle...how exciting! Prayers for a safe and smooth delivery of your little man.